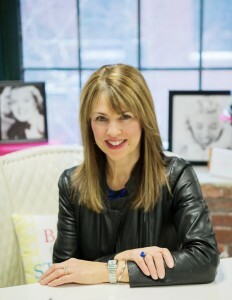 Susan Kanoff, Founder of Uncommon Threads. At Peach, our mission has always been empowering women, and our clothing plays a very important role in that. We believe clothes have the power to transform someone’s outlook and approach to life, so naturally it made sense to choose a charitable partner who felt the same way! As an organization focused on using clothing to build confidence in women in need, Uncommon Threads was our perfect match- and since April is National Volunteer Month, we are thrilled to announce them as our official charitable partner. This female founded organization operates from their boutique in Lawrence, MA; offering styling services to women in need- including domestic violence survivors, disabled women, female veterans, homeless women, women in recovery and the elderly. Uncommon Threads is not your average clothing program. It looks like a high-end boutique and the inventory is stylish and in excellent condition- all donated by the community as well as local and national boutiques and clothing lines. In addition to offering a high quality selection of clothing, they provide clients with private styling appointments. This allows them to connect, identify what works best for each individual’s lifestyle, body shape and best colors. Each client walks away with up to four new outfits. To be able to provide this experience, they also developed a sister program, Uncommon Closet. This social enterprise allows the public to shop designer clothing at a fraction of the cost to help fund Uncommon Threads and support their mission to strengthen and empower women. Like all female founded brands, it started with a girl boss. We were honored to have a chance to talk with this fellow fashionista and our newest partner in the fight for women’s empowerment, Susan Kanoff, Founder of Uncommon Threads; to hear how she took an office full of unwanted clothes and literally refashioned women’s outlook on life. 1. Where did the idea for Uncommon Threads come from? How have your other professional pursuits influenced this venture? For over 20 years, I was a social worker running a federal initiative called The Family Self-Sufficiency Program to move low-income families out of poverty. As a fun “side-gig” I started a wardrobe styling business that evolved out of my love for clothes. My business took off quickly and I started styling private clients, as well as, for television and print. As part of the process of building a better wardrobe, many of my styling clients found themselves looking for a good home to donate their old pieces to- and I had just the place! 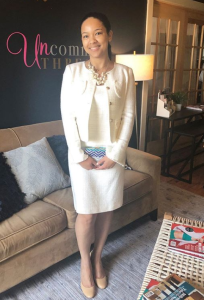 I took the clothes that no longer served my styling clients, and used them to outfit my social work clients (mostly single moms) that came in to my office for a counseling session. Whether it was just a “pick me up” or an outfit for a job interview, I noticed how the new clothes boosted their self-confidence and self-esteem; making them feel beautiful and strong. Eventually my office was overflowing with clothes, and it became clear that I needed to start my own program- that’s when the idea for Uncommon Threads came to me! In the fall of 2016, I launched Uncommon Threads, a non-profit that empowers low-income women through clothes and image- and it took off faster than I could have imagined! I found a great space to rent in one of the old Lawrence, MA mill buildings, a wonderful program to partner with (Family Services of the Merrimack Valley) and through my connections in the social service arena, the word spread like wildfire and clients started coming in the door. The program also attracted a sea of amazing volunteers in the community who share my passion to help other women. During the first-year in operation, we were featured in The Boston Globe, WCVB news (the segment went national), Woman’s World Magazine and Northshore Magazine. In just over two years, we have styled over 1,300 women! 2. Why is empowering women so important to you? What does it mean to have Peach as a partner in this? In a world where many women are held back because of domestic violence, poverty, lack of education, disabilities, or abuse; it is important that women support and help each other. Strong and capable women make positive role models for their children, leave abusive relationships and may be more apt to pursue jobs or education. I’ve had my own life struggles and the support and encouragement from my friends and family pulled me through the darkest days. Yet there are many women who face challenges without a safety net. Women need to help other women. Kindness matters and sure makes you feel good! Peach has been an amazing partner to Uncommon Threads. Not only has this company supported us with generous clothing and undergarment donations, but their home office team has even come in to help work with our clients and partner on fundraising events. We’re also incredibly lucky to have Peach CEO & Co-Founder, Janet Kraus on our advisory board. She is a true cheerleader for women and is dedicated to seeing other women succeed. We are grateful to have Peach by our side sharing our mission to support and empower women, and look forward to the impact that we will be able to create together. 3. Your organization operates on the idea that clothing has the power to positively influence an individual’s outlook and approach to life. Is this something you’ve personally experienced? Clothes are a powerful tool for building self-esteem! When you look good you feel good. The right clothes can help me have a better day, feel more self-confident, and even lift my spirits when I’m down! Dressing myself well has have given me a way to own my power. 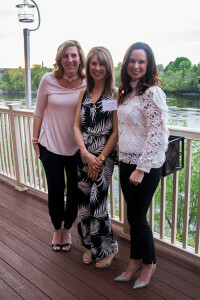 Members from the Peach Home Office team partnered with Uncommon Threads to host a fundraising event this past November. 4. Describe the transformation that women experience when they walk through your doors. What types of women are you helping and what services do they gain access to with Uncommon Threads? There are many clothing programs out there, however, Uncommon Threads is focused more on self-esteem than on putting women back to work. All of our clients are referred by professionals such as therapists, doctors and case managers. The majority of them are from the Merrimack Valley area, but we’ve had therapists from Boston bring their clients to us- if there is a need, we will help! When these women walk through our doors, they are very humble and reserved; many of them have never been “waited on” before or had the luxury of shopping at a boutique. Our goal is to make women feel important, worthy and beautiful. We take the time to really get to know each and every one of them; working with them to dress for their lifestyle needs, size and age. For some that may mean finding outfits for an interview or workplace (or even special occasion attire). For women who are not able to work, like disabled women, cancer patients or the elderly, it’s creating looks that make them feel confident in their day-to-day. When they try on their new outfits, everything shifts. They find them selves standing taller and feeling confident and ready to take on the world. For each styling session, we ask for a $10.00 donation, but if they can’t afford it the referring social worker can have it waived. This doesn’t fund the program, it does, however, give them a sense of empowerment knowing that they were able to purchase these clothes for themselves. We want to make sure this empowering feeling of being able to provide for themselves remains instilled in them, so we encourage our clients to shop often—we want them to come back. 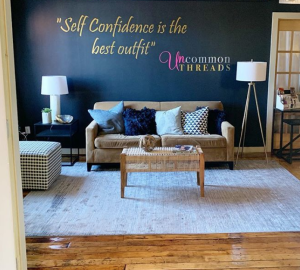 Beyond the clothes, Uncommon Threads provides a safe and nurturing place for women to connect with others, recharge their batteries (self-care is so important! ), and receive support and encouragement from other women. In addition to styling, we now offer self-esteem focused groups and workshops through our new Women’s Empowerment Center, and we’ll soon be launching a mentoring program called Uncommon Friends. We recently started Senior Style, a styling program to empower elderly women (or “experienced women” as we like to say!) who reside in nursing facilities. We are all about lifting women up. It’s an outside in approach—a little out of the box, but it works. We’ve had therapists tell us that our sessions are better than therapy. It’s shopping therapy. It’s women helping women. It’s pure magic. Uncommon Threads Founder, Susan Kanoff (right) styling a client (left). 5. Who has been your biggest mentor? How have they influenced your ability to grow Uncommon Threads into what it is today? What has their best piece of advice been? I don’t know if I could pinpoint one mentor. I’ve had many through the years. My friends and family have been a sea of encouragement and support—I’m truly blessed to have them in my life. That said, I think the best piece of advice I’ve received was from my former Director, Cathy, who encouraged me to start Uncommon Threads. Despite my self-doubt and fears, she believed in me; and with her gentle nudge I chose to pursue my dream. Francesca Desforges (left) and Lauren Johnston (right) from the Peach Sale team at Uncommon Threads fitting clients with bras donated by Peach. 6. How would you like to see this organization grow over the next five years? Do you see Uncommon Threads expanding into other services? My future goals for the program are to expand services and evolve into a “women’s center”, offering stress management, beauty and mentoring programs. Down the road, I would love to see the program replicated in other areas and even launch a mobile fashion truck to bring Uncommon Threads to those who cannot get to us. An Uncommon Threads client glowing with confidence after a styling session. 7. How can someone get involved with Uncommon Threads and help achieve this incredible mission? There are many ways that women can get involved from near and far! We need volunteers with skills in various areas such as styling, fundraising, events, etc. We are always seeking donations of new or nearly new clothes, shoes and handbags and high-end items to help us raise money for the program through Uncommon Closet, our social enterprise. One high-end handbag has the power to help us pay rent or other operating expenses! And of course, we always need monetary donations. The only way we can keep the program going and growing is to fund raise. All donations are tax-deductible. For more information on how to donate click here.